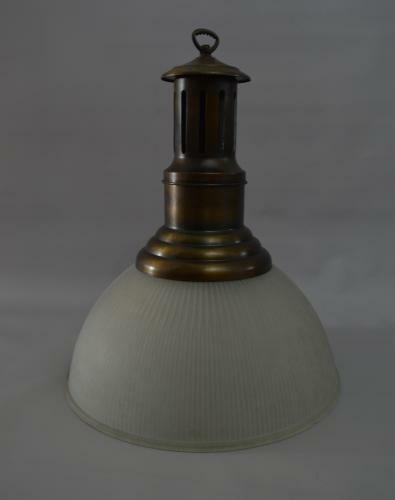 Very nice 1930's Holophane light with very large copper gallery. In nice condition. Rewired with 1m of vintage style 3 core brown twisted cable and antique style bronze suspension chain, Also supplied with ceiling hook and PAT tested. Longer cable and chain available on request.